Established in 1995, our law firm has become a staple of high-quality legal representation for individuals, families and business owners throughout our region. Our attorneys have the extensive knowledge and experience required to handle the demands of any client's case regardless of how complex or challenging, and we strive to provide our clients with the greatest value possible. When working with our firm, you will receive dedicated attention from an attorney who has your best interests at heart. We will work closely with you to fully understand your situation so that we can devise a strategy or solution that will achieve your specific needs and goals. In all cases, we will advise you of your options, educate you about what to expect from the legal process and remain with you until we help you achieve the positive results you seek. Our law firm offers only estate planning services to our New York clients; however, we provide services in all practice areas for our Connecticut clients. 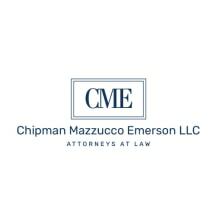 For more information on how Chipman Mazzucco Emerson LLC can best serve your legal needs, you can contact our office to schedule a consultation.